I am not at my most stylish—nor at my most concerned with being stylish—first thing in the morning when I walk the dogs, especially in the winter. But when I slip on these cashmere sweatpants I at least feel like I made a minimal effort, and maybe I even look that way too. It is also worth noting that I have owned these since Everlane introduced them, one, maybe two years ago, and they have yet to pill or otherwise show signs of wear, which is a rarity in the world of cheap cashmere (and expensive cashmere too, while we’re at it). I like this silk cami better than ones I have that cost more because it’s double-lined to prevent sheerness. It’s also cut really simply and has so far worked nicely with everything I’ve layered it over. 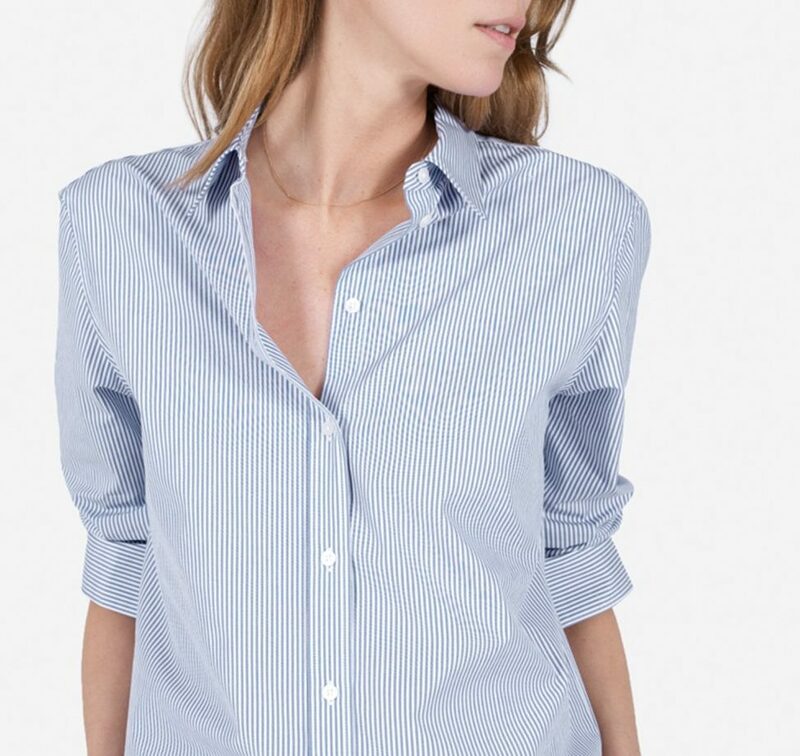 I know some of you criticize the cut of certain Everlane items, and specifically their button-downs, as being too boxy, but I’m a big fan of their relaxed poplin shirts, which to me have the just-right amount of slouch. Any suggestions for pilling cashmere? I have a knee-length cardigan that I only got last year and the pills are terrible. Apparently my purse does a number on it. I use a a disposable razor lightly across my cashmere. Use a gentle touch and it will take the pills off beautifully. I have the $10 Evercare sweater shaver, bought it on Amazon, it works perfectly. I have a sweater comb by The Laundress, but I they’re available at lower prices on Amazon and they probably work the same. It’s gentle so I never have to worry about accidentally putting a hole in my good sweaters. 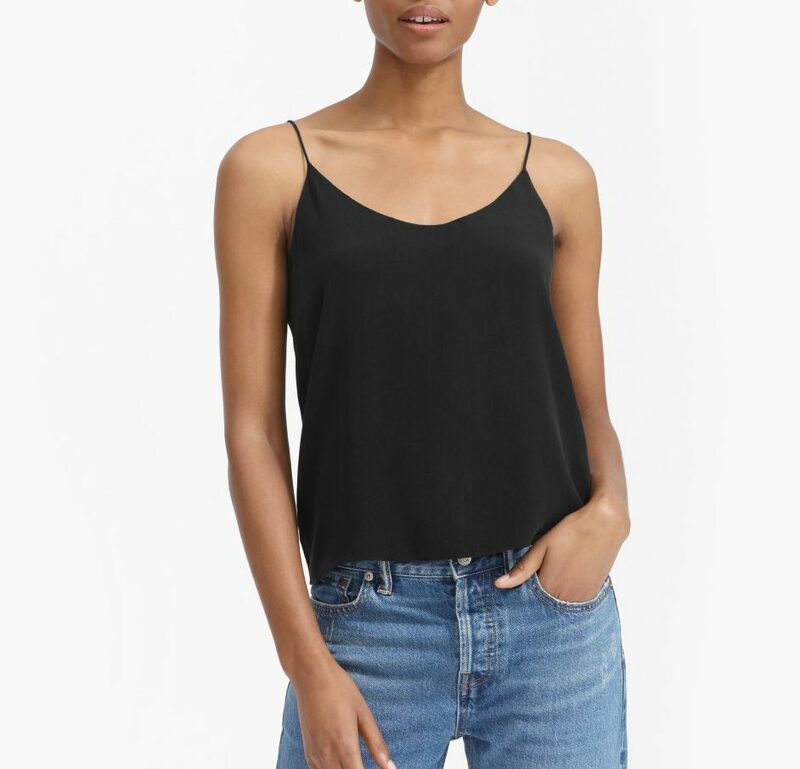 What type of bra does everyone wear under this type of cami? I don’t have ginormous ones (anymore, breast reduction surgery was the best thing I ever did for myself) but I also do t want to *ahem* flap around. I’m no bra expert, but the ones that work best for me under the cami are plunge-y or demi styles. But I also don’t care so much if a little bit of bra peeks out. I'm no bra expert, but the ones that work best for me under the cami are plunge-y or demi styles. But I also don't care so much if a little bit of bra peeks out. Hollywood Fashion Silicone Coverups. You can get them at any drugstore. They are reusable. I have small breasts. These are perfect. They changed my life. Note: if you’re somewhere extremely humid and are going to be outside for a long period of time, they may not stay on. I don’t know from experience or anything. Hollywood Fashion Silicone Coverups. You can get them at any drugstore. They are reusable. I have small breasts. These are perfect. They changed my life. Note: if you're somewhere extremely humid and are going to be outside for a long period of time, they may not stay on. I don't know from experience or anything. Personally I love the boxy Everlanes. Something for everyone! Everlane’s long sleeved pima cotton tees are perfect and sooooo soft. I also have an Everlane cashmere v-neck that is on heavy duty rotation and a couple of their silk short sleeved boxy shirt that make my summers lovely. 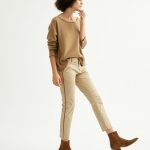 All the Everlane tops I’ve purchased have been top-notch, but I can’t seem to find any of their bottoms that fit my body. And that’s ok.
Everlane's long sleeved pima cotton tees are perfect and sooooo soft. I also have an Everlane cashmere v-neck that is on heavy duty rotation and a couple of their silk short sleeved boxy shirt that make my summers lovely. All the Everlane tops I've purchased have been top-notch, but I can't seem to find any of their bottoms that fit my body. And that's ok. I love all of my Everlane silk camis which have adjustable straps. The clean silk one shown here does not have adjustable straps which is a bummer. 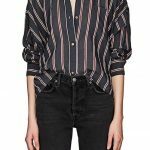 I have five of the relaxed silk buttondowns in a variety of colors and they are my go to work uniform with jeans, boots, and a blazer. And nearly as many of the v-neck cashmere sweaters. I also got the cashmere turtleneck dress for Christmas and I’m finding that I wear it all the time (mostly not as a dress but as a long cozy sweater with skinny jeans). But like c.w. above, I have never found their bottoms to fit right- which is fine, I’d just spend more money there. I have five of the relaxed silk buttondowns in a variety of colors and they are my go to work uniform with jeans, boots, and a blazer. And nearly as many of the v-neck cashmere sweaters. I also got the cashmere turtleneck dress for Christmas and I'm finding that I wear it all the time (mostly not as a dress but as a long cozy sweater with skinny jeans). But like c.w. above, I have never found their bottoms to fit right- which is fine, I'd just spend more money there. The pants have never fit me right, but I have a cashmere v-neck that I love. I also have a boxy denim shirt that I have yet to find a way to style so that it’s flattering on me.